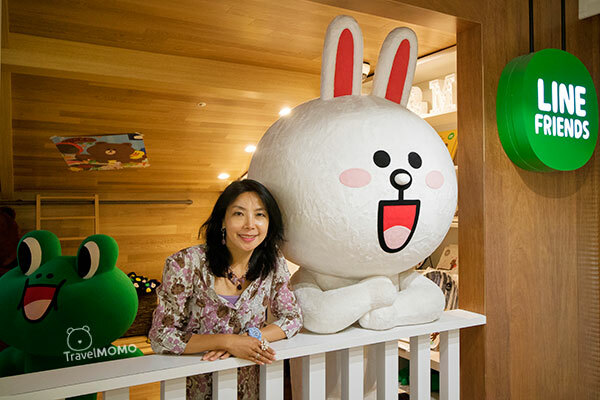 The popularity of Line, a mobile application for instant messaging and communications has continued. 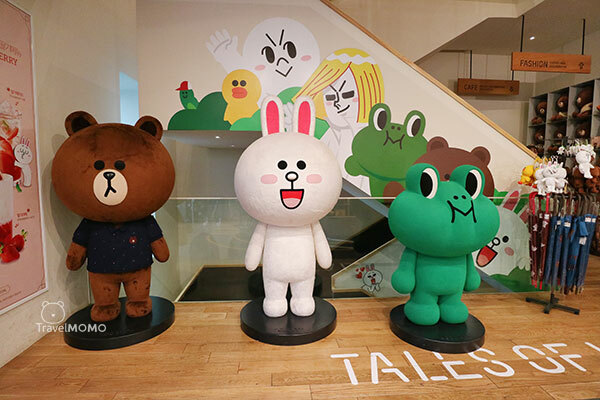 The characters (Line friends) are so popular that they are now created into 3D toys, T-shirts and all kinds of merchandise. 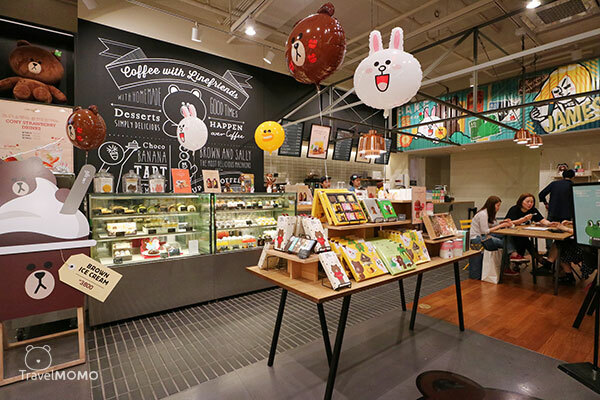 A Line Friends retail counter in Lotte Young Plaza in Myeongdong a few years ago is now expanding into a flagship store with a Line Cafe in Sinsa-dong, Gangnam in Seoul in March 2015. 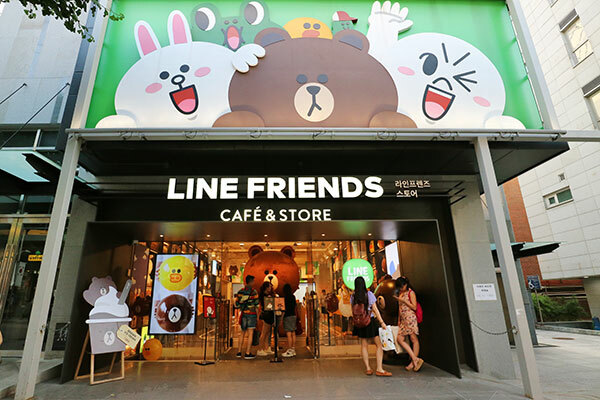 There are Line Friends stores in Japan, Taiwan, Hong Kong, and Asia but if you travel to Seoul, you won’t miss the Line Friends Cafe & Store. 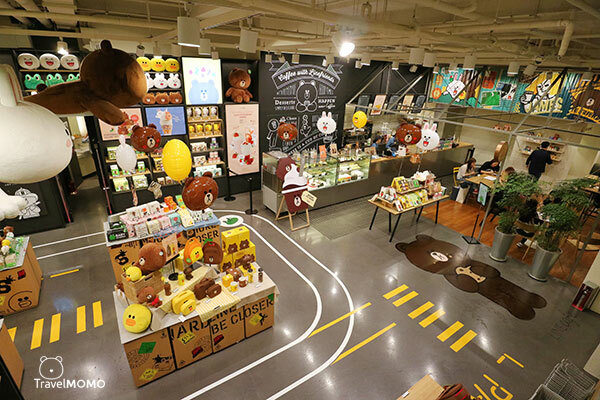 The Line Friends Café & store in Sinsa-dong, Gangnam Seoul is a flagship store in Korea. 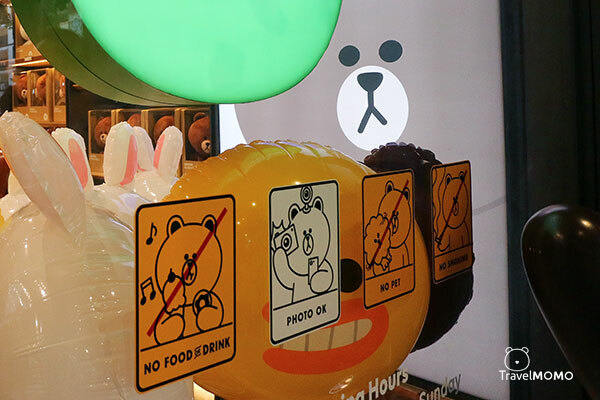 The unique thing about Line Friends store is the “Photo OK” sign. No food & drinks. No Pets. No Smoking. 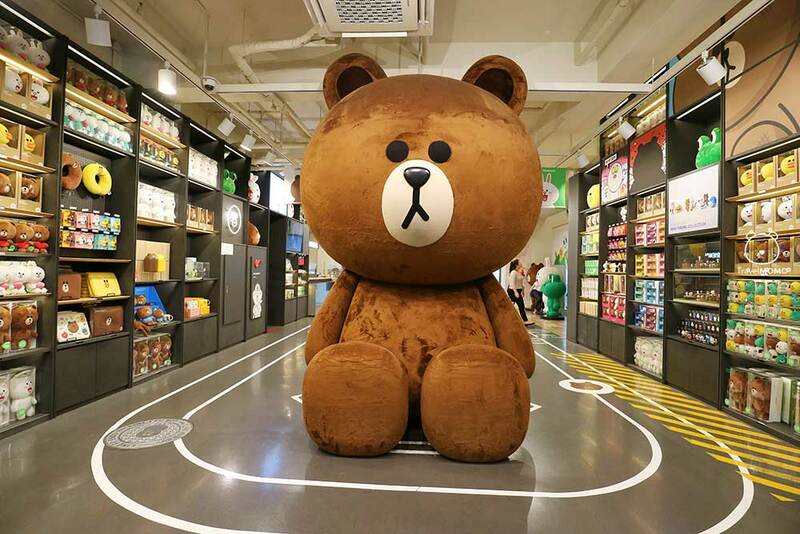 The first thing people do in the store is to take photo with the giant stuffed Brown. 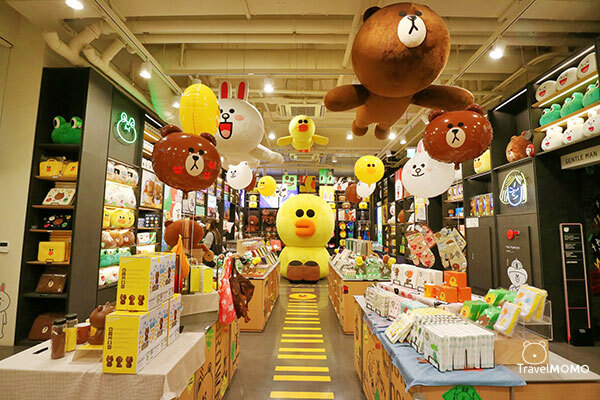 The flagship store is very spacious and there are Line friends everywhere for photography. 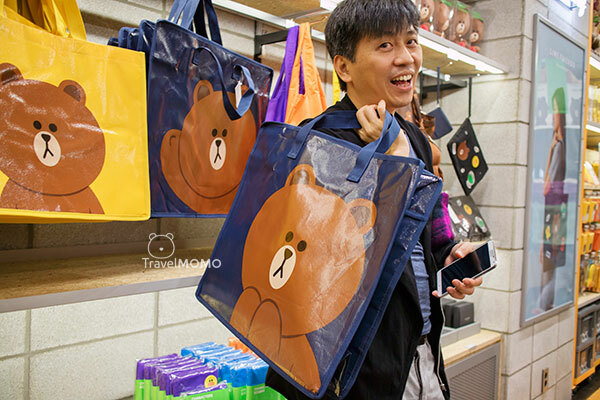 There are all kinds of merchandise: T-shirts, bags, hats, mouse pads, stationeries, and more. 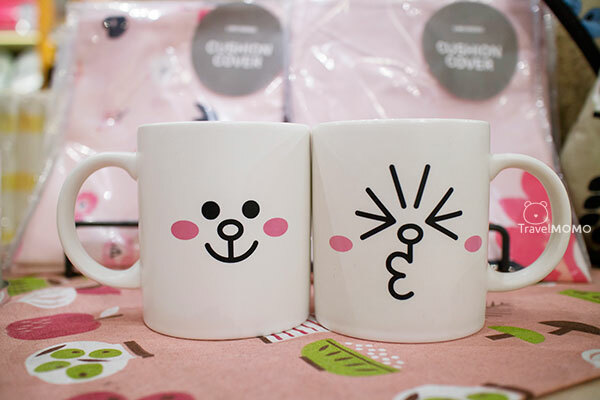 Cony couple mugs are cute. 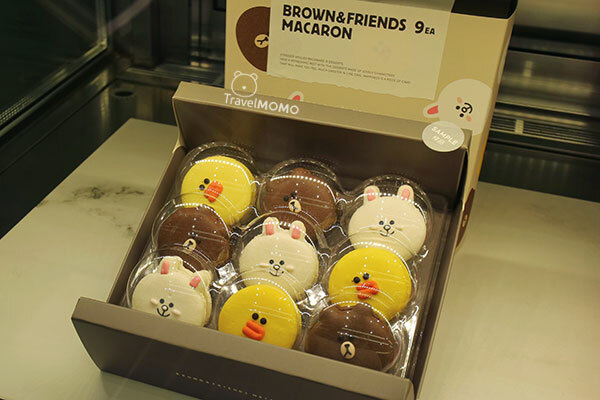 Brown (the bear) and Cony (the rabbit) are the most popular Line characters. 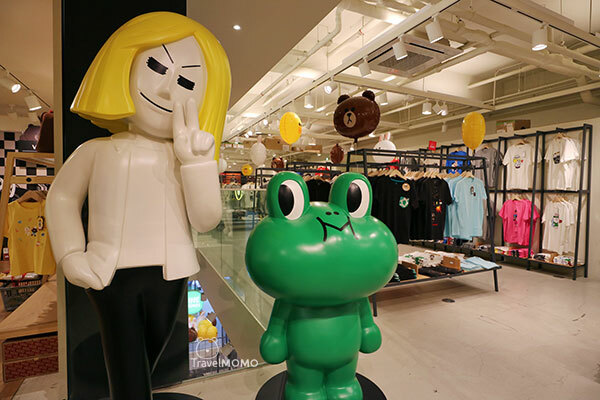 There is another giant Sally in the basement of the Sina-dong flagship store. Sally is a little chic. 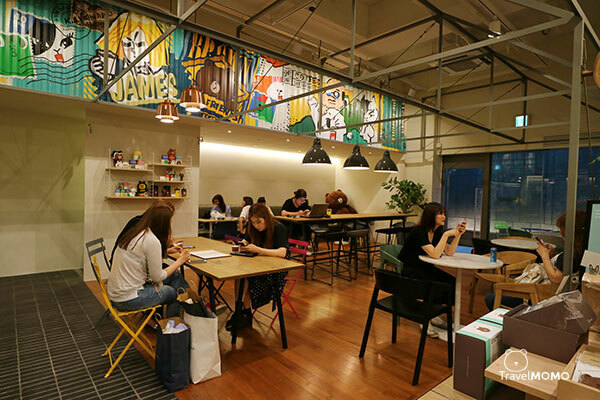 The Line Cafe is the highlight of this flagship store. 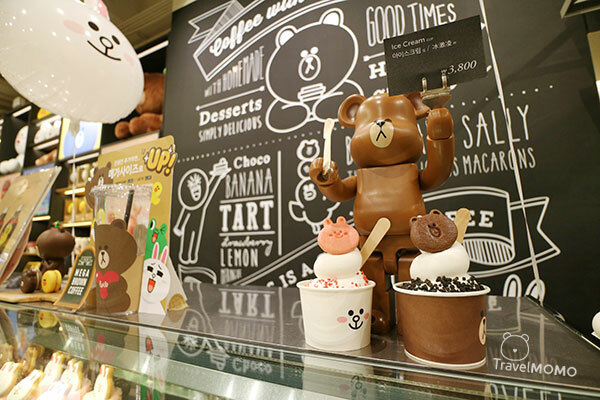 The Line Cafe is very attractive, displaying all kinds of Line characters eateries. 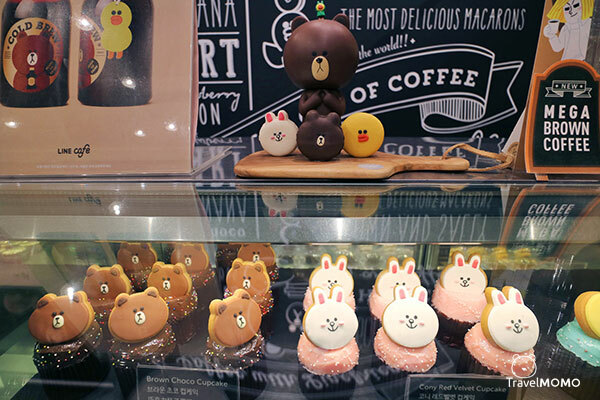 Line Friends donuts and cookies. 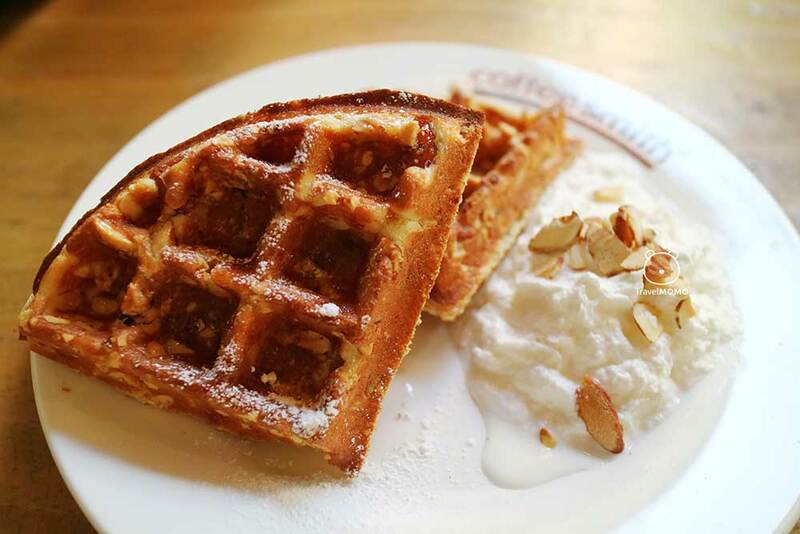 The Line Cafe is actually quite popular. 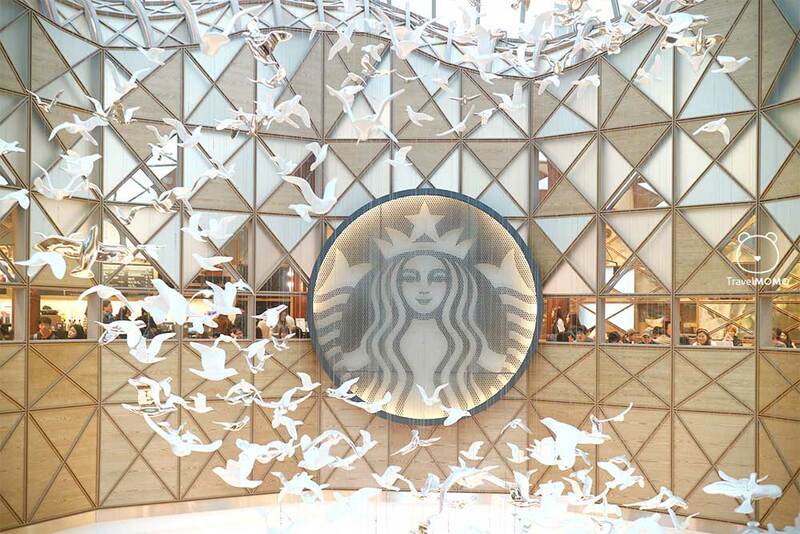 Everyone is busy taking photos and share them with friends. 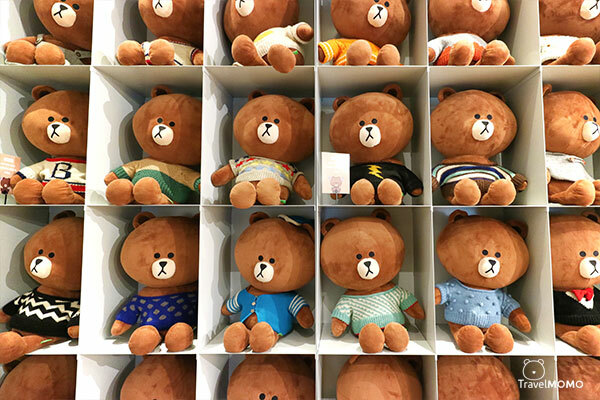 Line Friends appeal to guys as much as girls. 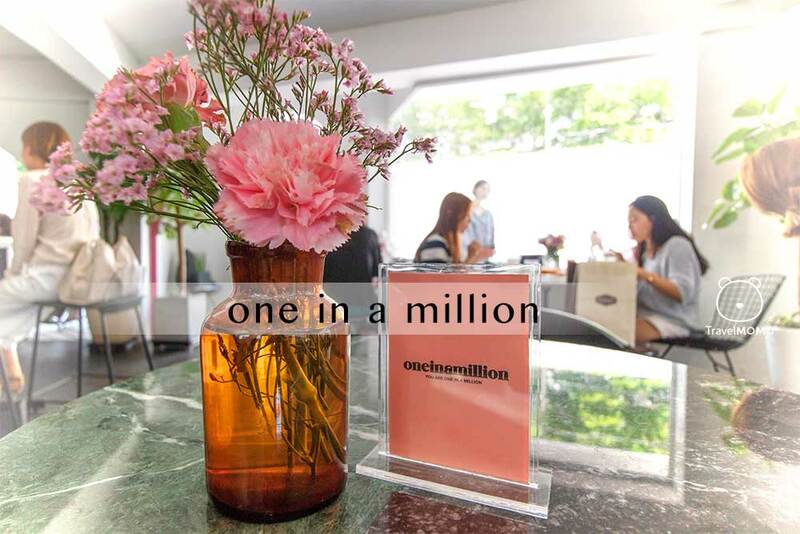 Siuchung of Automomo was excited in the store. Dik Kong Sang from Automomo bought quite a few Line products. 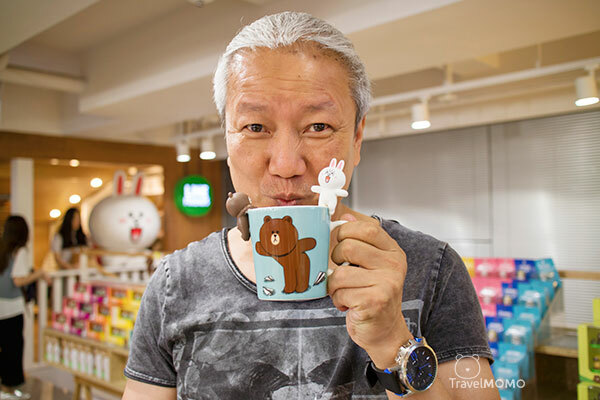 Cony the rabbit is my favorite Line friends.